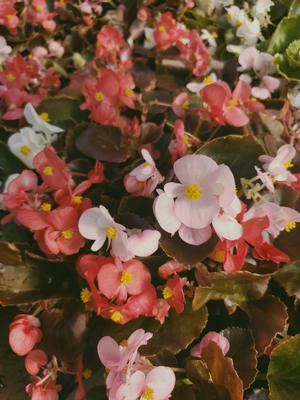 The Cocktail Mix Begonia is a glossy bronze leaf that produces pastel pink, red and white blossoms with touches of yellow in the center of bloom. 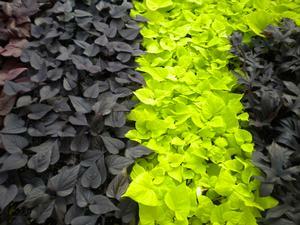 The Begonia is a favorite of landscapers and homeowners alike. 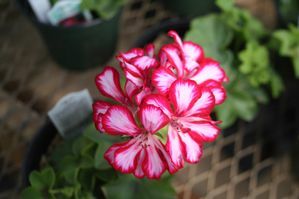 It is a compact plant that blooms all summer long and is very uniform in its habit. Begonias prefer full sun to part shade. 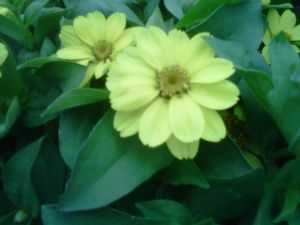 This is a very hardy annual that grows near 12” tall and spreads nearly 12” wide. Begonias produce many small blooms for your Spring, Summer and Fall beds and containers.